“It’s important to take care of your vehicle, which is why the Jack Powell Chrysler Dodge Jeep Ram service department offers rotating auto service coupons. Our service specials encompass everything from great prices on routine maintenance to brake service coupons, so be sure to check back and make sure you aren’t missing out! Your Challenger or RAM 1500 will thank you. Taking your car in for service can be nerve wracking and is often expensive, but you can rely on us to make service simple and more affordable thanks to our available auto repair coupons and other deals. For top-quality service and reasonable prices, make your way to Jack Powell Chrysler Dodge Jeep Ram in Escondido! On Selected Tires, Brands & Sizes. See a Service Advisor for details. 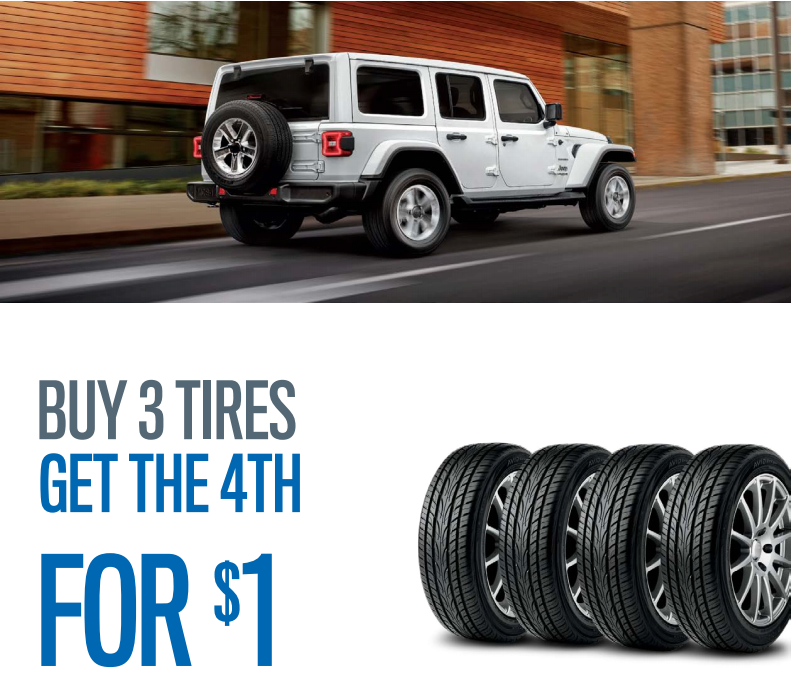 Some exclusions apply, see dealer for details. Receive a free battery test and installation. We have a large inventory of batteries onsite and and can change yours quickly for no extra fees except the cost of the battery. Coupon not valid with any other offer. Must present coupon at time at time of purchase. Limit one coupon per person. Coupon does not apply to prior purchases. Other restrictions may apply. Receive a free car rental with any recall repair. Four conventional oil changes for $130.00. See your service advisor for detail. excludes diesels and synthetic vehicles. Four wheel alignment $129.95 on most vehicles. Tired of paying expensive repair bills? $500 off any major Mopar Vehicle Protection Plans. Express lane oil change 34.95. Diesels and synthetic vehicle extra. See dealer for full details.